BriteVerify Email Verification has teamed up with SendGrid to ensure the validity and deliverability of your email marketing lists. Stay out of trouble. Clean your email addresses before you send. BriteVerify can reduce your bounce rate by 98% and help your messages reach the Inbox. 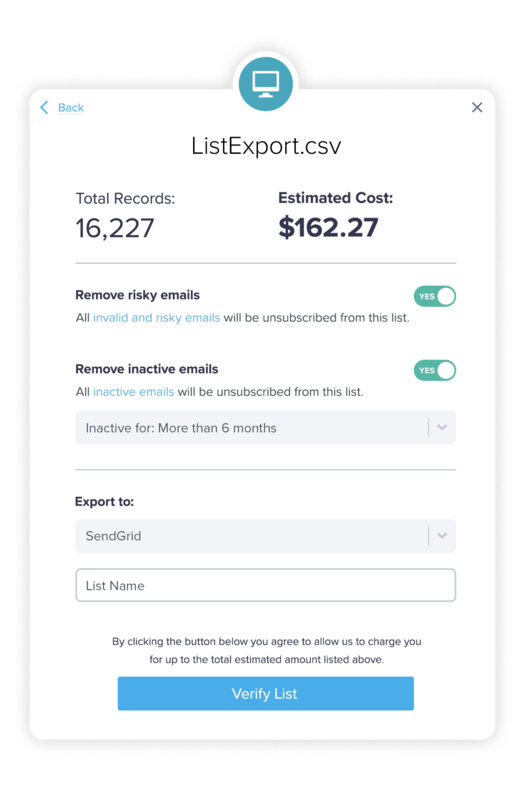 Internal List Verification - Remove invalid, risky and inactive emails from existing lists inside of SendGrid right from the BriteVerify app. 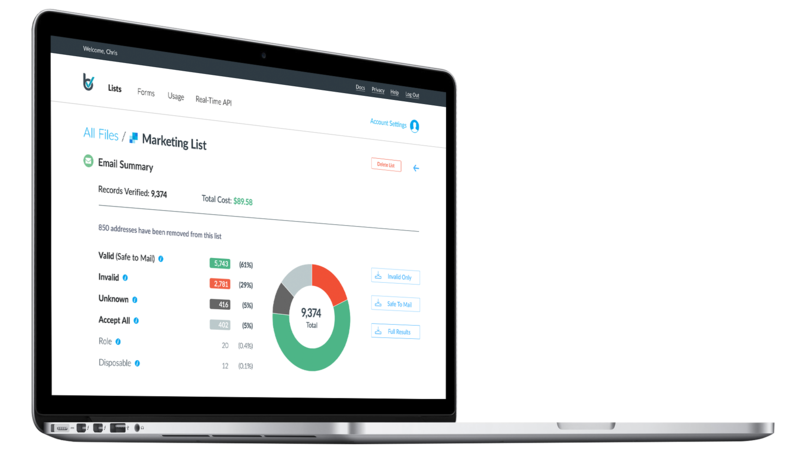 One-step Data Onboarding - Instantly and safely onboard new, verified lists into SendGrid right from the BriteVerify app. And with the ability to remove risky and inactive emails, you’ll be certain that the emails you send make it to the Inbox. Simple, Secure Data Migration - With just a few clicks, you can securely verify and migrate an email list (or entire database) from other platforms straight into SendGrid. No-hassle pricing makes getting verified and staying clean easy and affordable. No subscriptions or setup fees – pay as you go, volume discounts.